Professional massages are being considered less and less a luxury and more as a useful tool to improving ones quality of life. I had discuss how I used massage for lower back pain but people get massages for a long list of reasons which include reducing stress, increasing relaxation, relieving pain and rehabilitating. Massage has been practiced for thousands of years, and today there are numerous massage styles and techniques which are well-known and frequently used. Generally these all involve stroking, kneading, pressing, rubbing, or manipulating muscles, tendons, connective tissue and skin surfaces with hands and fingers, but there are many even stranger or more exotic techniques than the ones normally found at a regular spa. This international collection of methods might not appeal to everyone, but they are sure to pique your interest and reveal a little more of the incredible world of massages! 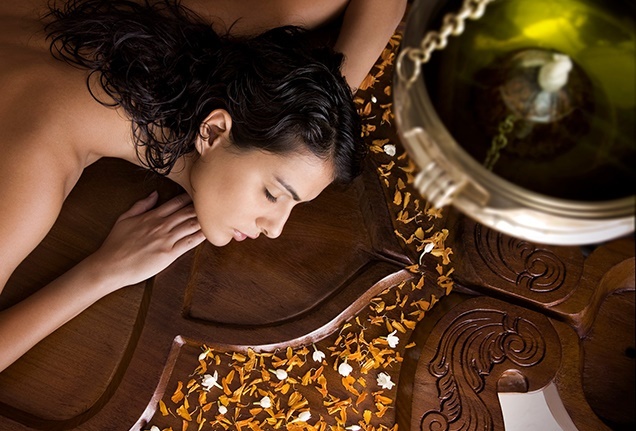 Massage has been considered a form of complimentary and alternative medicine for hundreds, if not thousands of years. Going as far back as the ancient Ayurveda traditions over 3000 years ago, massage as a form of healing and therapy has been an integral part of human healing ever since. In more recent times, massage has seen a more central return to the world of medicine and has been used to treat a wide variety of ailments and injuries. Having a deep therapeutic massage has been known to reduce stress levels, promote blood flow, stimulate the release of healing hormones such as dopamine and melatonin which help to relieve pain and allow you to sleep better. By controlling these simple aspects of your body with a homeopathic, all-natural massage is the best way to create an environment in your body that is suitable for it to heal itself. 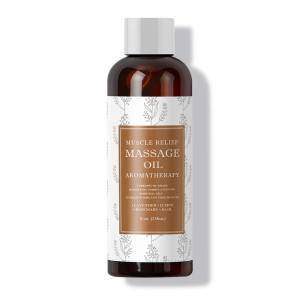 However, many have also turned to different forms of massage as a form of preventative medicine – which is still the best variety if you ask me. By going for a massage once every two weeks or even once a month, you can bring those cortisol levels right down and prevent the onset of infection or inflammation more efficiently. So if you have a stressful job or a hectic home-life, taking 30 minutes or an hour out your time to treat yourself to a natural remedy is definitely a worthwhile way to relax, not to mention being healthy too. If you shop around, you can most likely find a reasonably priced masseuse close to you. While the cost may seem high at first, it generally winds up being cheaper than having to go to the doctor regularly, have surgery or take various forms of medication. If you’re an athlete who works out often or tends to practice on a regular basis – massages are a must-have. Massages help to prevent muscle spasms, will loosen your tendons and can help an injury heal quickly. Professional athletes have them on a regular basis and if you’re not professional, or semi-professional, it’s still a good idea to have one at least once a month to ensure that your body is always ready for the strains of exercise. It has always been a dream of mine to visit the Hawaiian islands. To feel the sand under my feet as the cool surf washes over my feet and the pineapple scented soft breeze ruffles my hair. Sure, that might have been taken straight out of a tourist commercial for Hawaii, but who cares? That’s how it is in my head. The point is that Hawaii evokes thoughts of relaxation and connection with one’s inner self as well as nature. That is why this massage tops my exotic list. For centuries the ancient art of Hawaiian Lomi Lomi Massage has been used as a powerful tool for maintaining a healthy physical and spiritual way of life. Before the massage, the recipient can choose a more traditional preparation by undergoing a deep cleansing process which includes taking herbal preparations, sweats in the steam vents of a volcano (or local spa) and bathing in the famous mineral enriched ponds of Hawaii. This ancient Hawaiian massage, which many find to be very sensual, involves long rhythmic strokes that vary in pressure and speed, carried out by the forearms, hands and sometimes elbows of the therapist, and incorporates deep breathing and the application of different types of oils used to nourish the body, enhancing the fluidity of the massage strokes. All this is accompanied by native chanting or music. This therapy is highly beneficial to the vital systems of the body, including digestive, muscular and immune. 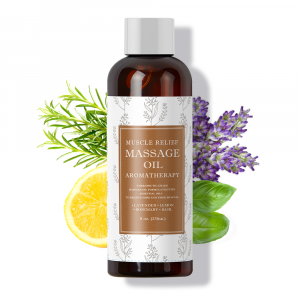 It soothes your muscles, tendons and soft tissue to increase circulation and nurture your energy which helps encourages a feeling of inner peace and happiness by the end of the massage. Lomi lomi, like so many traditional ancient massages, is meant to align your body, mind and spirit for an all-around healing and relaxing experience. A unique type of nurturing massage that works on both body and mind, Watsu takes place in waist-deep warm water and combines dance, stretching and elements of massage and shiatsu. The therapist continuously cradles you, and that along with the buoyancy and support of the water allows the spinal column to be moved in ways that just aren’t possible out of the water. Many people also find this massage to work on an emotional level as well, promoting trust and deeper human connection. This gentle massage is great for increasing flexibility, inducing deep relaxation and alleviating pain. As i said before it can help on an emotional level by relieving anxiety, insomnia and depression. Hopefully at the end of this treatment, you’ll be able to have your troubles and pains float away! This luxurious massage is pretty self-explanatory; a four hand massage is carried out by two therapists who work fluidly from head to toe in synchronized harmony to squeeze and stretch all the tension and aches out of your body. In general, they’ll mirror each other, with one therapist taking the lead while the other follows, for example, both your legs or arms will be massaged at the same time, or one therapist will work on the right side of your back while the other works on the left. Using long smooth strokes, deep kneading and assisted stretching, they’ll leave you feeling completely relaxed. The technique is similar to a Swedish massage, just double the amount of hands on you, which provides a more enveloping and relaxing sensation. It’s an experience that, like the others listed here, targets your mind, body and spirit, and can encourage healing, improve circulation and relieve pain and soreness. The price is understandably double, but you’re getting double the sensation, so for an occasional indulgence, this is highly recommended. For fans of the more intense techniques, the African deep tissue Rungu massage has its roots in the tribes of East Africa, where the Rungu (a type of wooden baton with two different sized knobs at either end) is of great cultural importance. This massage utilizes the Rungu stick to help penetrate deep into the muscles, tendons and fascia for an intense relaxing experience. The stick’s central shaft rolls smoothly along the skin in long stokes or is worked in circular movements on larger areas while the bigger knob is used on the bigger muscles and the smaller knob will address the smaller muscles, ensuring full coverage. The African Rungu massage is a deeply stimulating massage which is excellent for sore, stiff or aching muscles, can improve your sensory nerve perception and blood circulation, and also increase drainage in the lymphatic system, and release endorphins, promoting a deeply relaxed feeling. 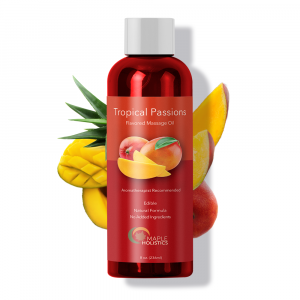 Like with the hot stone tool, this massage offers you a full pampering of your body with a natural product designed to ensure you have the maximum benefit of a deep tissue massage. If you’re in a hurry, this relatively short massage can achieve the best results in the quickest amount of time. In addition to inducing a deep state of relaxation, the Indian Ayurvedic head massage also helps to relieve stress, migraines, stimulate the lymphatic system and encourages the release of toxins from the body. This gentle massage is one of the best ways of relieving chronic neck and shoulder pain. Practitioners use certain Essential Oils as they knead and stroke all over a person’s head, going through their hair, but focusing on rubbing their temples. They’ll also work on your shoulders and neck. The Indian Head Massage relaxes the muscles with a special technique to increase and ease blood flow. This gentle massage method helps alleviate stress, insomnia and migraine pains by letting the mind rest and mentally release bottled up worries. If you’re suffering less from pain and just want a truly pampering and relaxing massage, this unique age-defying rejuvenation treatment might be just what you need. The massage is done on the face, limbs and upper body, and includes a number of steps, which may vary at different spas, all aimed at the goal of achieving healthier, younger looking skin. These include an exfoliation to remove dead skin cells on the face, acupressure treatment, a deep facial cleansing, a facial massage using Essential Oils, warm towel wraps, creams and moisturizers. Though focused on, and called, a facial massage, not just the face is massaged during this treatment, the hands and feet are also taken care of while the face is wrapped in a warm soothing towel. The major benefit of this treatment is healthier and firmer looking skin. Towel wraps are used to help keep the skin looking beautiful by sealing in beneficial moisture. The massage helps to improve the oxygen flow to the facial tissue, while the exfoliation of dead skin cells cleanses the face by revealing the layer of fresh skin underneath. 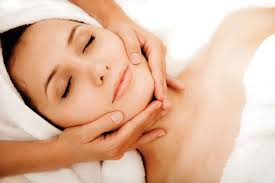 The massage also tightens and tones the facial muscles. The toning benefits improve with each facial massage, so the more treatments the better. Each time the facial massage is completed it improves the health of the skin, and helps make surface wrinkles less visible, slowing down the formation of new ones and keeping facial muscles from two of their constant enemies; gravity and the unstoppable march of time. The deep facial cleansing step of the treatment removes any toxins from the surface, leaving it looking clean and more youthful. Many people, women especially, get Belavi facial massages as a way to achieve clear, younger looking skin without going through the pain and expense of cosmetic surgery. A great stress reducer, Belavi facial massages aim to be effective enough to coax tired, sagging muscles back into better shape. This massage has been regarded by some as more relaxing than a body massage, because the face holds more tension than other parts of the body. Our faces endure stress all day as we chew, smile, grimace, frown, furrow our brows, squint, and grit our teeth. Releasing muscular tension in the face can free tension in the whole body. All said and done, the Belavi Facial Massage is a deeply relaxing method that leaves the recipient feeling pampered, and with healthy rejuvenated skin! Yes, such a thing exists. This might be the least scary of the bunch, but no less crazy. Using fresh, hot pancakes applied directly to the skin, this is said to help fight fatigue, detoxify the skin and expel excess fluid. Practitioners of this massage treatment also claim that it improves blood circulation, maintains proper body heat and utilizes natural flour for its healing properties. I just wonder if maple syrup and butter are used here somehow as well but that could just be my stomach talking. No, you’re not being beaten by prickly cactus paddles in some twisted form of torture, though you would be forgiven for thinking so from the name. The de-needled cactus paddles are used in this treatment to massage in the skin an aromatic blend of soothing cactus meringue and blossoms. 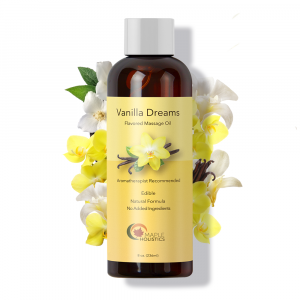 It is said to be beneficial in removing toxins while re-hydrating and soothing the skin. Well this might be one way of getting over your fear of snakes. This treatment uses a combination of big snakes for deep massage, and small ones for light massage. The idea is that snakes can slither around the body using their body weight as pressure. Why you need to use a 4+ kilo python to do this is beyond me, but some people actually seem to enjoy this. They swear it isn’t just for adrenaline junkies but I’m not so convinced. Practitioners make sure to feed their pythons first and most of the snakes have their mouths taped shut, but is that really meant to assure anyone? This ancient technique originally from China is today popular in northern Taiwan, at least for those brave or stupid enough to try it. People there believe that being tapped with the end of a knife is a form of therapy that releases the energy and cures many illnesses. The client is draped in a cloth to cover the body and help prevent any slips that might cause injury, and the dull knife is rubbed with medicine so it is almost, sort-of, safe. The heavy blade is used in order to get a deeper massage (like the stone tool used in the hot-stone massages) and is said to remove negative energy. Some might walk away feeling refreshed, but I think the best part of this massage is walking away and being able to tell people that you survived a knife massage. Setting aside the ethical issues here of possible animal abuse, this doesn’t sound that much different than massages where the masseuse steps on your back, here the stepper just happens to weigh 3 tons. Baby elephants are trained in Thailand to perform pressure massages on tourists at public beaches. The elephants, which can also be larger and a little older, are always accompanied by their trainers to control their movement, AKA make sure you aren’t squashed, and ensure the client gets quality service. The talented elephants use two techniques; some use their soft round front limbs by tapping slowly on the back of the client, while others employ a quicker motion using their trunks to gently pound down. More than anything, I believe this to just be for the experience and photo-opportunity rather than any perceived health benefit. Tourists seem to keep this in demand, but who can blame animal activists for caring more about adorable baby elephants than creepy snakes? 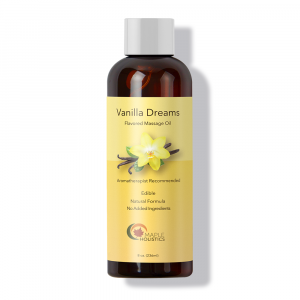 We have spoken about the benefits of Essential Oils, so how could this not be included? This treatment focuses on the face and applies snails, generally of a giant African breed to the client’s face where they then proceed to slowly wriggle around and cover the face in their slimy mucus. Snail mucus apparently contains various rejuvenating compounds that help reverse sun burns, eliminate wrinkles and scars and moisturize the skin. I know what you’re thinking. This is hair-brained and gross. But is having those little fish in the spa gnaw at your dead skin cells on your feet any less gross??? I actually tried that and it freaked me out. I might not be the best candidate for snails on my face. You’re welcome to try it though. I bet you’re lining up for this one, I mean who doesn’t want to have their faces slapped repeatedly all in the name of beauty! Thai beauticians claim face-slapping can remove wrinkles, thin rounded faces and can help give you a more youthful look. These are not random slaps mind you, like many Asian techniques; they are along various “energy” lines. Sure a slap will increase blood-flow to the slapped area and raise blood pressure and release adrenaline, but I’m pretty sure there are more pleasant ways of achieving the same effect. Then again, I know nothing of “facial energy lines” so who knows? Fire can bring warmth, light and can certainly be considered therapeutic under the right circumstances. This strange technique is especially popular during the cold winter months in Chinese traditional hospitals. A towel is soaked with flammable perfumed oil, placed on the body and lit briefly before being doused out. The skin is then massaged. Believe it or not, this is done to help open pores and soothe the skin. Many people there also believe this ancient treatment keeps them safe from illnesses like the flu and colds, and it is said to also help lose weight. I’m not sure how comfortable I would be having a flaming piece of cloth on me, but belief systems do have powerful effects on the mind, and that can be said to contribute to various degrees to all of these bizarre massages. Certainly not for the faint of heart or anyone with low pain thresholds, Cupping applies suction to the surface of the body to draw out toxic elements or to invigorate the flow of energy at the surface of the body. The suction in the cups causes the skin and underlying superficial muscle layer to be lightly drawn into the cup. Cupping is much like the inverse of massage – rather than applying pressure to muscles, it uses gentle pressure to pull them upward. Once suctioned, the cups are generally left in place for about ten minutes while the patient relaxes. Recipients of this ancient alternative medicine treatment can understandably get unsightly temporary marks and soreness till the benefits, which I’ll list below, kick in. Cupping is usually done by inserting a flame into a small glass cup to remove the air and create a vacuum. The cup is then deftly inverted onto the surface of the body where the cup is held firmly in place by the suction created by the vacuum effect. 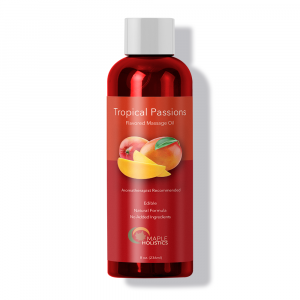 Learn about great massage oils like Peach Kernel Essential Oil and Pine Essential Oil here at Maple Holistics! This method is called “fire cupping.” There are also specially designed cups fitted with air lock valves that allow practitioners to remove the air with a hand-held pump. Frequently, the practitioner will apply a lubricant, Essential Oils such as lavender, to the skin before placing the cups, and then move the cups back and forth across certain areas of the body, called meridians. There are five meridian lines on the back, and these are where the cups are usually placed. Using these points, cupping can help to align and relax qi (life force energy), as well as target more specific maladies. By targeting the meridian channels- the paths through which life energy flows freely throughout the body- routes are opened and can thus enable a smoother and more free-flowing qi. This combines the effects of cupping with dermal friction therapy (Gua sha) and is called sliding or gliding cup technique. Cupping is often used to treat early stage colds and flu, as well as muscle pain, especially in the back and shoulders. While many swear by this method, and claim it to be a successful deep-tissue massage technique, I can’t help but think the pain, discomfort and bruising simply isn’t worth it! If you don’t mind sleeping on your stomach for a week, maybe you would be willing to give it a shot. After listing popular, exotic or even strange techniques of massages and the enhancing benefits of Essential and Carrier Oils, it is easy to forget the very basic of what a massage done by a trained professional is: human interactive non-sexual physical contact. The power of this trusting touch should not be downplayed. The simple act of placing the hands on the body can just by itself encourage a person to relax, release anxiety reducing and well-being promoting hormones, and allow for the muscle manipulation required to render further assistance. From our earliest developmental stages as a baby and throughout our lives, touch remains one of our most important senses and way of interacting with the world around us. During a massage, we build a relationship of trust and compassion with the therapist that allows our bodies and minds to be open to the full extent of benefits the treatments can provide. One doesn’t need the bells and whistles of the zanier massages listed above to just enjoy a good old fashioned relaxing massage.